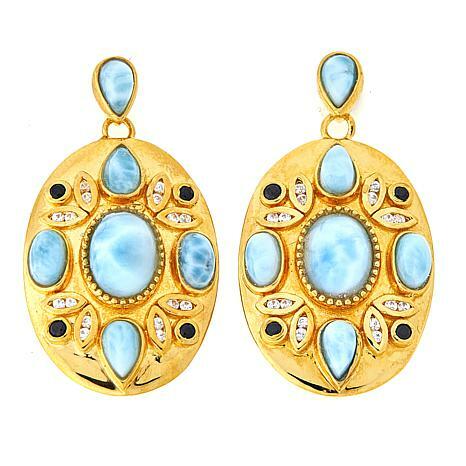 An eclectic mix of opaque and transparent gemstones give these pretty gold-plated drop earrings chic style and personality. 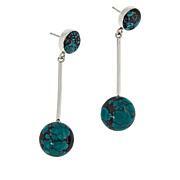 They feature lovely blue larimar from the Dominican Republic and sparkling accents of black spinel and white zircon. 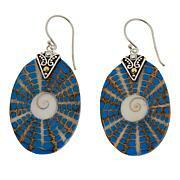 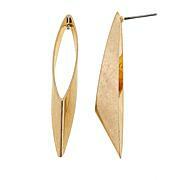 The result is an artistic pair of earrings as beautiful and unique as the woman who wears them!